OS X 10.11 El Capitanのインストーラーには"/bin"や"/usr"などシステム保護ディレクトリにある非Apple製ファイルを移動してしまう機能があるので注意。 | AAPL Ch. 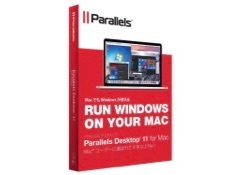 When upgrading to a version of OS X that supports System Integrity Protection, the system migrates any existing third-party content as part of its installation process. The installer takes the existing system, moves it to a temporary location, and writes the new system to the root volume. 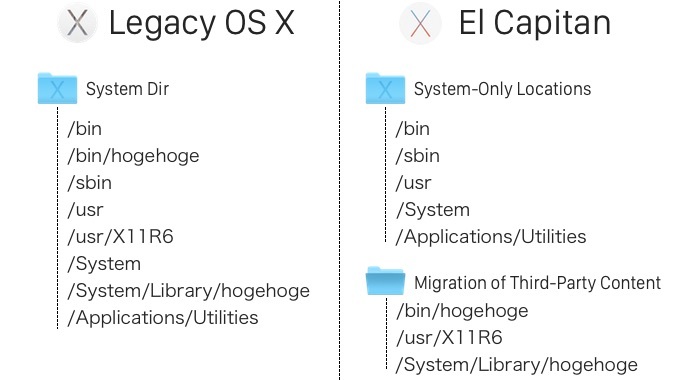 When upgrading from previous versions of OS X to El Cap, any and all non-Apple files found to be residing in those directories will be picked up and moved to /Library/SystemMigration/History/Migration-(some UUID)/QuarantineRoot/—which will almost certainly render whatever application or piece of hardware that depended on those files nonfunctional.